Replacement Valve and Pump for any size Air Jack air wedge. Replacement light unit for your favorite long reach tool. An assortment of tips that complements our Complete Locksmith Sets. A few of every tip we have, great for replacing worn our tips on your older tools. 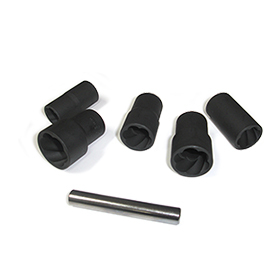 Replacement sockets for the Easy Off Twist Socket Set. © Copyright 20165 www.accesstoolsusa.com. All Rights Reserved.